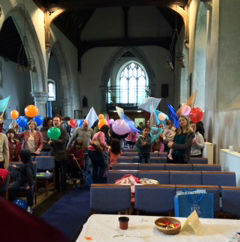 We are a group of five rural church congregations (Adisham, Barham, Bishopsbourne, Kingston and Womenswold) that worship and work together in and around the Elham Valley a few miles south east of the Cathedral City of Canterbury. Between the five churches we offer a variety of activities and worship services, but our emphasis is on being the family of God's people, and on seeking to be the best we can be in his world. It is our belief that God loves us all, and is present in every part of life, not just Sundays. Whether you have been a Christian for a long time, or are still exploring what faith is all about, you are most welcome to join us at any time. 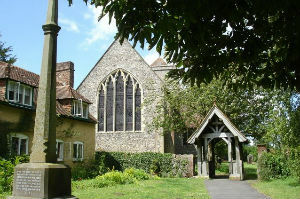 Church services and other activities are listed on the ‘What’s On’ page. You can also find information about any 'Special Events' here. 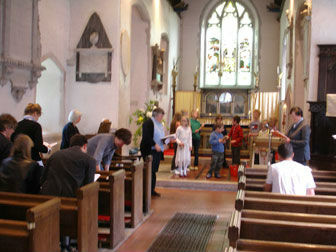 Family worship in Kingston church. Bishopsbourne, most historic of our four churches.